Ball was last seen driving a blue 2010 Chrysler Sebring with Maryland tag 9AC9128. Leila Mae Ball has been found safe. 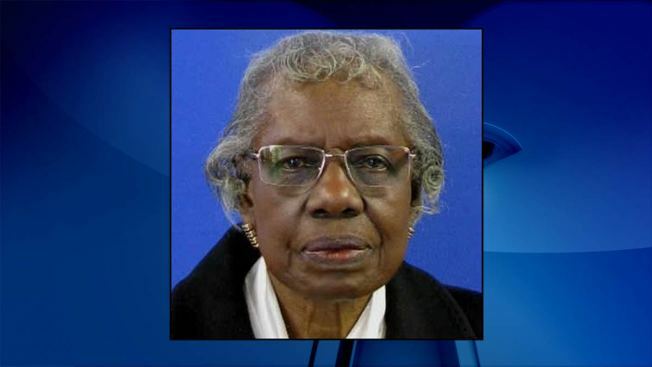 A Silver Alert has been issued for a missing 92-year-old woman. Leila Mae Ball was last seen at 7 a.m. Tuesday in the 800 block of Fairoak Avenue in Hyattsville, Maryland. Ball is five feet, four inches tall and weighs 116 pounds. She has brown eyes and gray hair, and is wearing glasses. She may be driving a 2010 blue four-door Chrysler Sebring with Maryland tag9AC9128, the Prince George's County Police Department said. Anyone with information is asked to call the Prince George's County Police Department at 301-352-1200 or dial 911.